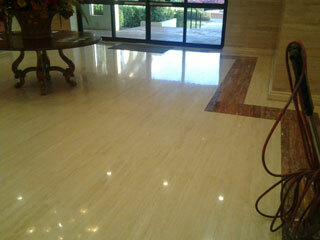 Terrazzo, Marble, Natural Stone – polishing, repair, cleaning and maintenance. Different stones require different procedures in order to restore the finish or to remedy an undesired preexisting problem. It is very common to receive requests from clients who require their marble, travertine, terrazzo or other natural stone floor to be ‘cleaned’ when they realize it no longer has the luster or reflective quality it once showed. Many customers have pulled up carpet from a home they purchased and discover Terrazzo that needs to be restored. 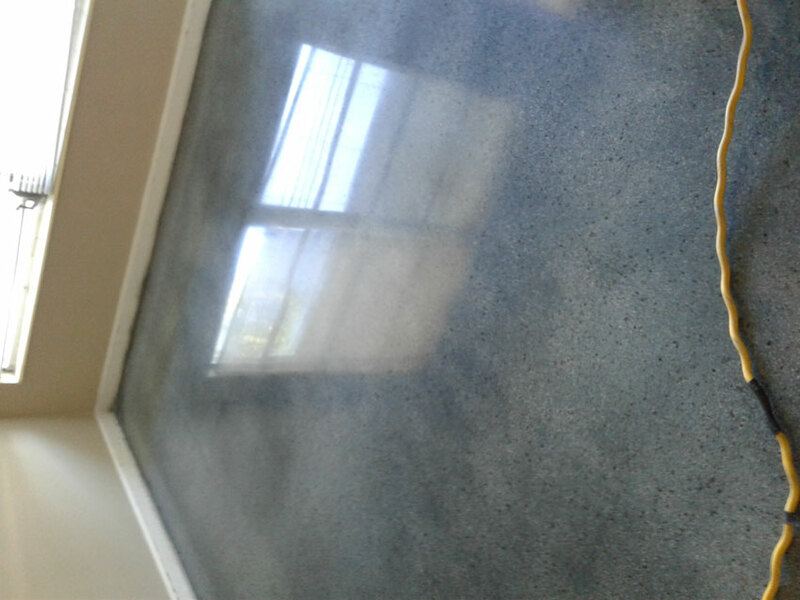 In most cases these floors will be lacking a shine due to scratches, staining and dirt in the stone which have damaged the natural crystals on the surface. The scratches and stains need to be removed by using a process known as Diamond Grinding/Polishing. If a Terrazzo floor is damaged beyond restoration, we can add color and Dye the floor. Never use acids ( verification or crystallization) to polish a Terrazzo floor. If the contractor that you hire uses this process, It will damage the surface over time. Terrazzo is Not marble and should not be treated as such. There is a big difference in the durability and look of a floor that has been ground and polished with a heavy planetary grinder versus acid polishing with a oversized floor buffer. We also recommend you NEVER use wax or most topical sealers on any stone. We can repair holes in Terrazzo floors by using epoxy and marble chip matching the original floor. Never pull up tack strip with a hammer, this will damage the terrazzo and cost more to repair. We have a system for removing tack strips that will save you time and money. Our advanced process can help you regain that shine and save you time and money. Even if you have your own maintenance program, I can show you how to reduce your cost dramatically.